Our community service initiatives have led to the creation of many miles of trails across the reservation and we serve in an oversight capacity, promoting the developments of trails across the Nation. 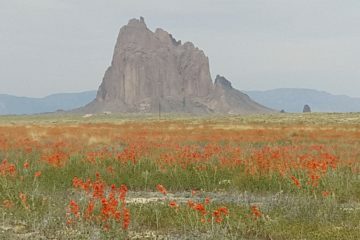 Our summer trails crews focus on trails in the tribal parks, with an ongoing efforts at LCR, 4Corners, Asaayi, Rainbow Trail and Window Rock. We began offering outdoor adventures for youth in the Shonto community in 1988. Since that time, we have been involved in offering positive programs and activities for youth and communities across the Navajo Nation. We began offering outdoor adventures for youth in the Shonto community in 1988. Since that time, we have been involved in offering positive programs and activities for youth and communities across the Navajo Nation, with over 300 outings at Navajo Mountain, Chuskas, LCR, Grand Canyon, Carrizo Mountains and Rainbow Bridge. 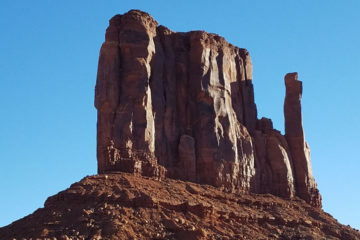 The Navajo Parks Race Series was initiated in 2015 as a partnership of NavajoYES with Navajo Parks & Rec and the Office of Navajo President & Vice President. The intent of the Series is to promote health and wellness, while exposing folks to the beauty of Dine’ Bikeyah. The 2018 Series will feature events at Navajo Mountain/Rainbow Bridge, Monument Valley, Little Colorado River Gorge, Window Rock, Shiprock, Camp Asaayi and Four Corners. We love to visit schools and communities to share the message of health and wellness. We also have created a series of posters, trail guides and other resources to promote healthy living in Dine' Bikeyah. Whether it be a health fair, school presentation, chapter meeting, or other event, we'll be glad to be there. 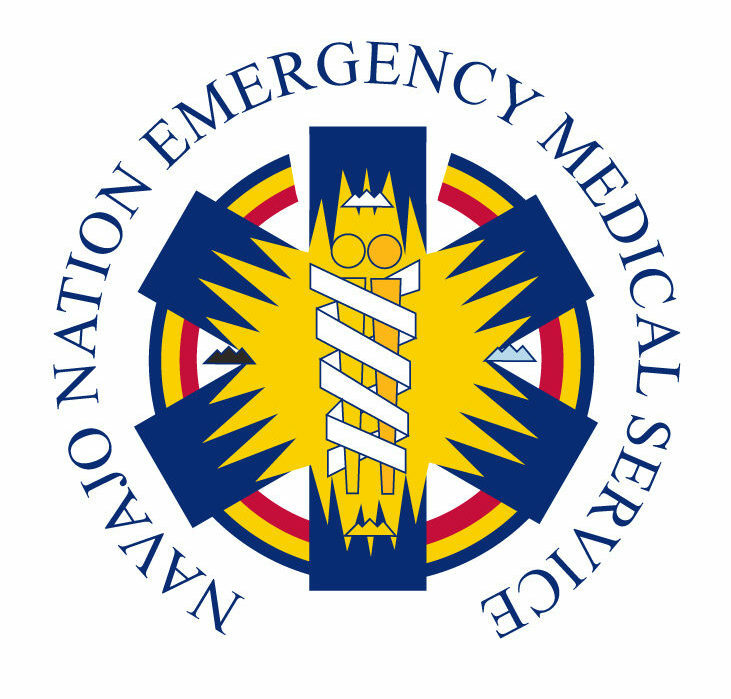 The most significant contribution by Navajo YES is not only creating challenging sporting events and back country outings for individuals, but also that of creating an infrastructure of wellness that provides experience and opportunity throughout the year for both young and old to participate and contribute to positive activities which in turn promote and empower community wellness as a whole. Tom Riggenbach, the voluntary Director of NavajoYES and lead guide on most treks, has over 30 years experience in the backcountry of the Southwest. He has led over 300 youth wilderness outings, including backpacking, mountain biking and hiking adventures throughout the region. 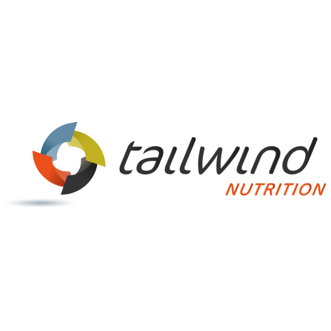 His personal experiences include an ascent of Kilimanjaro, trekking in the Everest region of Nepal, cycling from the Arctic Ocean to the rez and running the Inca Trail. He is a dedicated marathoner, with 82 marathons to date. The Dine’ Bike Project’s bike exchange program is headed up by George Kelly of Beclabito. George oversees donations of bikes and stages volunteer work days for bike restoration. Since 2016, he has led the restoration and distribution of hundreds of bikes in communities around the Nation. 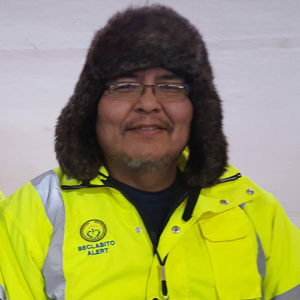 Our course coordinator for the Navajo Parks Race Series is Rygie Bekay of Cove, who oversees all race day operations at the nine NPRS and our four bike event across the Nation. He is also a backcountry trip leader, trails project coordinator and our social media guru. 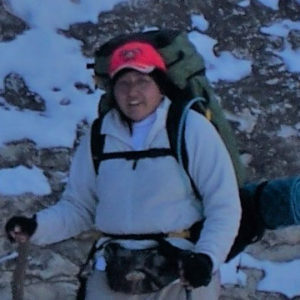 Rygie, who is Wilderness First Aid-certified, is also an avid hiker, backpacker and runner. Dr. Jesse Crane is a physician at Grand Canyon and Flagstaff with North Country Health Care. He is medical director of NavajoYES and provides support at many events. 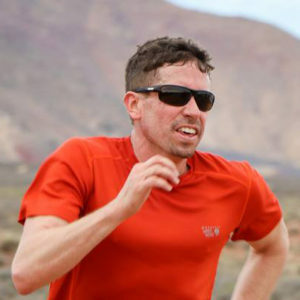 Jesse has been involved with the programs of NavajoYES for over a decade and is an avid trail runner, mountain biker and winter sports enthusiast. He, his wife and three daughters reside in Flagstaff. Having worked with Dine’ College for many years and now serving as Second Lady of the Navajo Nation, Phefelia brings a unique perspective to the organization. As the mother of two and wife of Vice President Nez, she brings her organizational and grant-writing acumen to the organization. She and her family live in Window Rock. 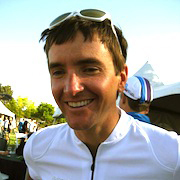 Scott Nydam is a former pro cyclist and current coach for the BMC Cycling Team. 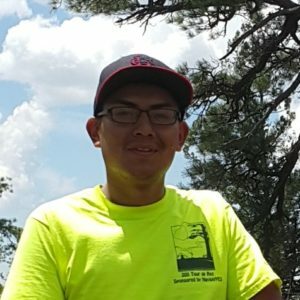 Scott has been a NavajoYES board member since 2015, with a special focus on our bike projects. He is co-owner of Silver Stallion Coffee in Gallup, New Mexico, where he lives with his family. 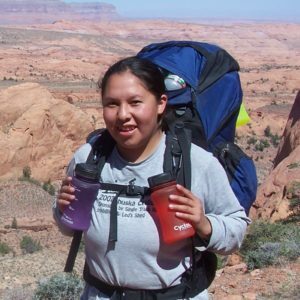 Kristine has been involved with NavajoYES for over a decade, serving as a trip leader, event volunteer, board member and now President. Originally from Kayenta, Kristine brings a financial background to the organization and now works for Navajo Technical University’s Business Incubator in Gallup. A social work major at Utah State University, Aaron is a Tour de Rez, Rainbow Bridge and Chuska Challenge alumni, and has volunteered at many events over the past three years. 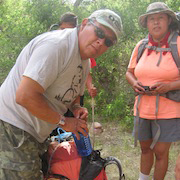 He has been a key player in our trail initiatives and service projects in the Carrizo and Chuska Mountains and on the Rainbow Trail. Aaron hails from Red Valley, Arizona and brings a strong youth perspective to the organization. 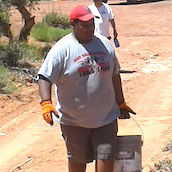 As a five-time Tour de Rez alumni, Myron continues to be involved in the programs and outings of NavajoYES. 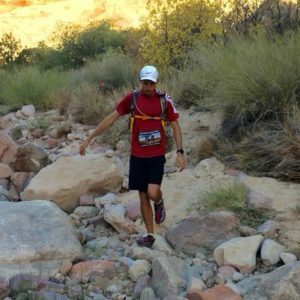 Myron was a key figure in the development of the Navajo Parks Race Series in the summer of 2015 and was instrumental in plotting the course for the Asaayi Mountain Runs, Rainbow Bridge Ultra and Monument Valley Marathon events. 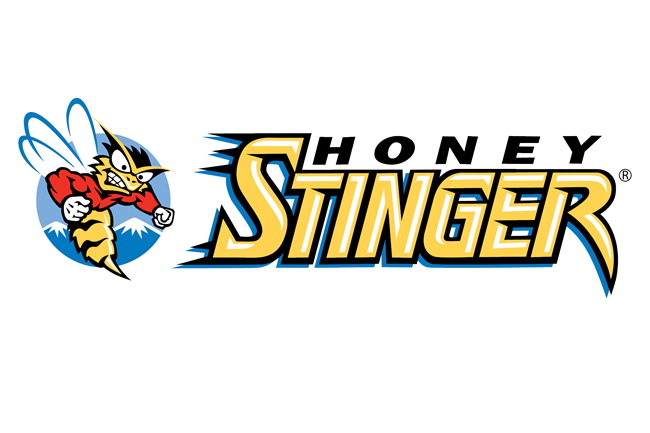 Originally from Shonto, Myron is a student at Northern Arizona University. The rez-renown flute player has been a part of YES outings and events for over 15 years. “Jimbo” has been a support staff, driver, entertainer/cultural educator and occasional trip leader over the years. 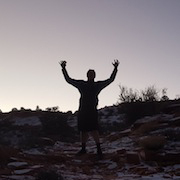 Originally from Chilchinbeto, Jimbo has been a Navajo guide in Monument Valley for the past decade. Irene has been a supporter of the Tour de Rez since her first children were part of the Tour experience in 1995. Now with the next generation of Dayzies coming through the Tour, Irene maintains the Tour chuckwagon throughout the summer. 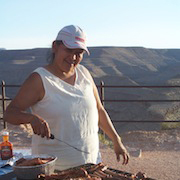 A public school educator in Kayenta, Irene is renown throughout the Four Corners for her fabulous cooking on the Chuska Challenge. She lives in the Shonto community near Black Mesa, where she oversees her family’s cattle and sheep ranch. Irvina Ellison of T’iis Nazbas has been involved with NavajoYES since her sons became involved with Tour de Rez over five years ago. 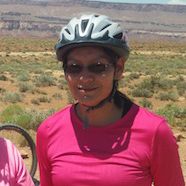 She is an active volunteer with Navajo Parks Race Series events, where she serves as registration coordinator. She and her family live in T’iis Nazbas. Since 2005, Kimberly Keith of Shonto has been involved in outings and projects of NavajoYES. 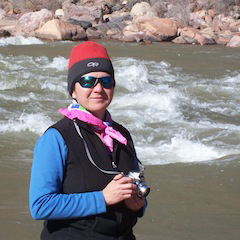 She currently is a trip leader on Grand Canyon and Rainbow Bridge treks, serves as an aid station volunteer on NPRS events, works on the summer trail team and provides medical/first aid support at events. Kim is Wilderness First Aid-certified and brings to the organization an awesome personality, music skills and passion for Dine’ Bikeyah. Joel Page of Immanuel Mission oversees all things tech for the organization – maintaining our website, assisting with registration and aiding with marketing and fund-raising. 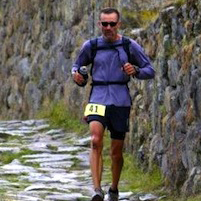 Joel is an avid and competitive trail runner and competes in many race around the Nation. 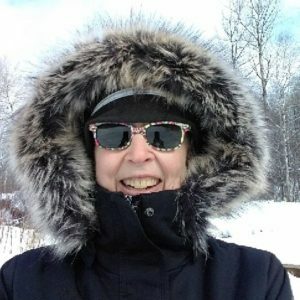 Sharon Nelson, RN, FNP worked in Navajo Nation healthcare for eight years at Inscription House, Dennehotso and Chilchinbeto and is currently living in Duluth Minnesota where cold is the new cool. Ms. Nelson has helped to bring significant growth to the organization during her time at the helm and continues to provide major leadership in fund-raising and program development. Orleta Slick is a school admin with Shonto Prep School. She has been a key member of the team at NavajoYES for over a decade. Orleta is a huge advocate for getting youth into the outdoors and her race-day meals at MV and Naatsisaan are legendary.